Induced Draft (ID) fans are used to create a vacuum or negative air pressure in a system or stack. 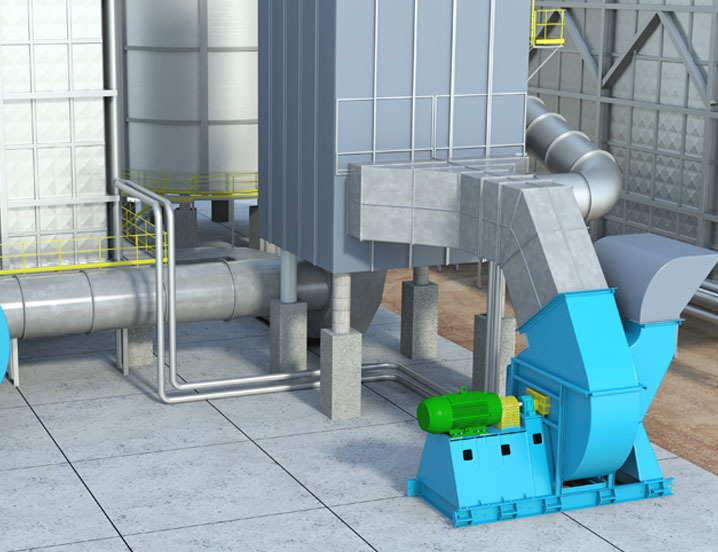 Our centrifugal blowers are used to maintain elevated ventilation, resulting in increased system efficiency. Twin City Fan can also supply extractor fans, which are typically heavy-duty construction to handle particulate in the airstream. In the boiler industry, ID Fans are often used in conjunction with FD fans to maintain system pressure that is slightly lower than ambient.